Living in the digital age, you’re surrounded by opportunities to take a peek into the lives and businesses of others. Often times in-person networking events are few and far between or require you to carve out time from your busy schedule to attend. If you’re looking for a job in the nonprofit world, it can be hard to even know where to start. In this digital age, it’s up to us to take advantage of online networking opportunities both in our personal and professional lives. Today, we’re putting together a list of networking opportunities online that nonprofits as a whole, as well as their leaders, should have on their radar. Whether you have a profile as a nonprofit or as an individual, these sites can allow you to harness the power of networking without having to even leave your desk. These networking sites allow you to post things such as open jobs, updates, articles, and more. Read on to find out which nonprofit networking sites you and your nonprofit should be a part of. LinkedIn – The social media site for professionals, LinkedIn is the perfect way to network as both a professional and an organization. Creating a profile for your organization on LinkedIn is easy. Find out more on that here. Once you’ve got your nonprofit’s profile made, you can start sharing blog posts, events, your website, and more. Use LinkedIn as a way to increase your online presence and become easily searchable. With most businesses and professionals on LinkedIn these days, it can open doors to connect you to volunteers, donors, and others who can spread the word about your mission. Other members can share the articles you post with their network to help yours grow even more. Idealist – This hub for all things nonprofit jobs and volunteer opportunities is home to over 131,000 organizations. On Idealist, those looking for a job, internship, or volunteer opportunity can easily search for jobs within their areas. Nonprofits can post open jobs, too. Idealist is especially helpful for catching the attention of those who are seeking a career in nonprofits and can help you get your name out there and build your best team. Events called “Idealist Days” take place all around the world and activities vary from 5K races to workshops. Find Idealist Days going on in your neck of the woods to bring the networking offline and into the real world! Facebook – While it’s easy to label Facebook as solely being a personal network, organizations can greatly benefit from its features as well. Nonprofits can create a page for the organization that will allow them to spread the mission and happenings of the nonprofit. Facebook events can serve as ways to invite others to your events. Group pages can be made to keep volunteers and donors in the loop about what is happening. Blog posts and articles can be shared to engage your audience. Inviting people to “like” your page can increase your network and keep others up to date on all you’re doing! Facebook for nonprofits can help you join hands with those in your community and beyond to share your mission. VounteerMatch – If your nonprofit is looking for a way to expand your volunteer opportunities and reach new people, look no further. You can create an account for your organization and then post volunteer opportunities to recruit new volunteers to aid you in your effort. Volunteers can select their area of interest, with areas such as hunger, veterans, homelessness, and human rights, and can be matched to volunteer opportunities with nonprofits like yours. On top of that, VolunteerMatch is also a nonprofit so they know the technicalities that come with finding the right people to support your cause. In addition, they also have resources such as blogs and a learning center for educational purposes. Young Nonprofit Professionals Network – YNPN has 44 chapters across the United States and is a place for young professionals in the world of nonprofits to connect with others. YNPN chapters provide valuable resources and opportunities as well as fun events that you can visit in person. YNPN can help connect you to others online and can lead to in-person connections with others in your area that can foster personal and professional growth and networking opportunities. These connections can put you in touch with other nonprofits and a new network of potential volunteers, supporters, or perhaps even future board members. 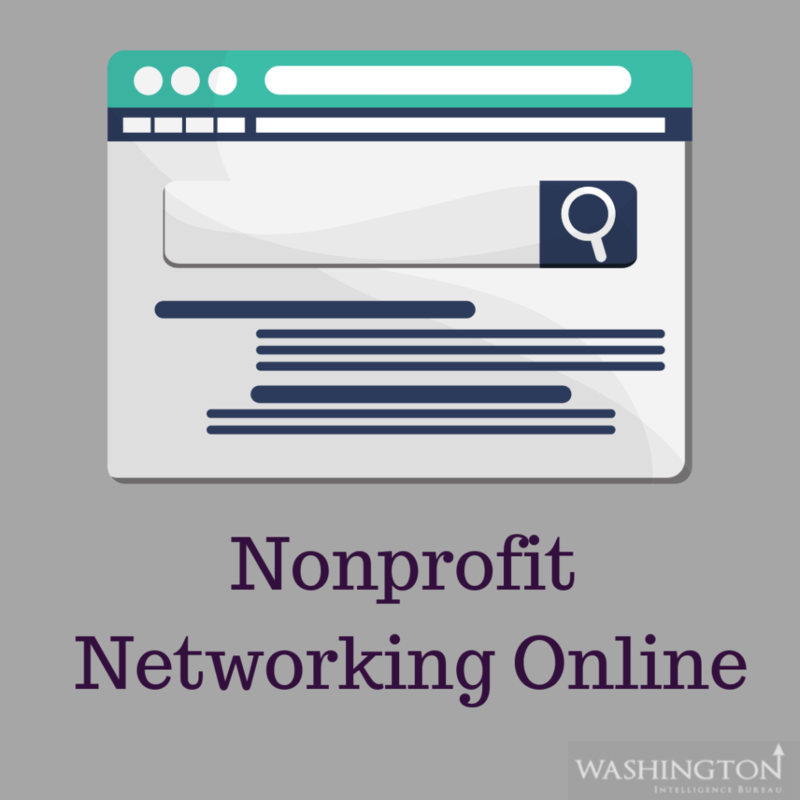 Which online networking opportunities will you and your nonprofit take advantage of to expand your reach and grow your team? We’d love to hear what works for your organization and what you’ve tried before.